Includes reading, comprehension, vocabulary practice, fun activities(word search, find 5 differences). Enjoy! 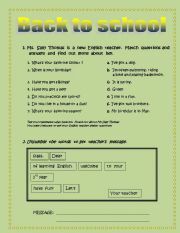 Students can repeat some questions that are usually asked when they meet a new person. There are also tasks to help them to say more about themselves. Have atmosphere full of fun and creativity all school year! 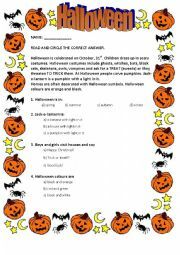 This worksheet is used for checking children knowledge about traditions of Halloween on elementary level and, also, for expending vocabulary. You can use it as starting or ending lesson activity. 3 pages of various exercises (matching, ordering, true or false,Christmas song quiz, correcting the mistakes)! I hope you find it useful! 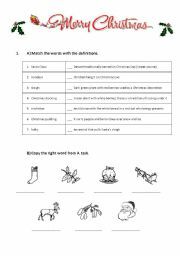 This worksheet practices clothes and colors vocabulary (AE and BE). There are two pages. When you copy them on both sides of paper, children fold it and they will get a small "activity book". Your pupils will like it! I am sure!